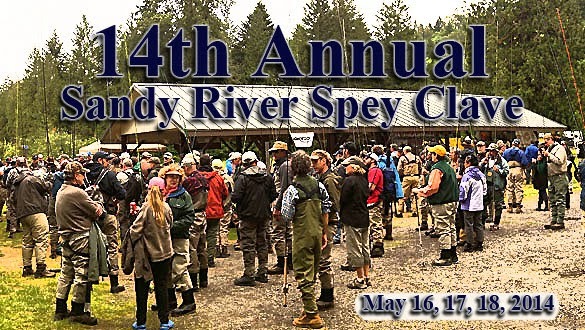 The Fly Fishing Shop: The Clave is Coming up Quickly!!! The Clave is Coming up Quickly!!! Especially YOU Are Invited To This Party!!! Get prepared for the BIG show! Come early! Everyone is welcome! "Fishing and Casting Sink Tips"
"Going the Distance-tips and techinques"
"Drasticly Improving your Learning Curve"
"Straight Lines Make Good Casts"
Tear down - go home. The first 100-students are guaranteed hands-on instruction by a professional instructor. Be part of the Woodstock of Spey. Try out tackle on the water. Dave Hubbard, Beau Purvis and many more to be added! Hope this help you guys getting ready for this AWESOME Event.